When a business is struggling to achieve its business objectives then a review of the standards agreed in the business can make a radical change. Sometimes this change can take place rapidly. One of the simplest agreements we can make is how long a part of the business will take to respond to customers. This gives the people in the business a standard to focus on and (hopefully) the customers a better quality of service. Defining the key parts of the business process and looking at how they affect the achievement of the business objectives can tell you how each part needs to perform. Once this contribution is understood a standard can be set for its performance. 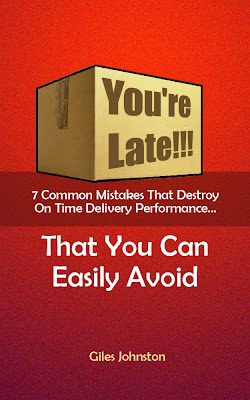 This might be lead time, delivery performance, error rate etc.. Agreeing standards in the workplace is one of the simplest ways to drive up performance. It provides your staff with clarity and provides a great starting point for continuous improvement activities.